Your investment decisions today will continue to impact your finances well into the future. If you are considering purchasing precious metal coins or bullion, make sure that you understand the tax implications of doing so. Eventually, you will want to liquidate your collections, and it is important to understand the taxes you will be responsible for. You have to compare the amount you received for the sale of the gold to its original cost in order to determine the taxable gain. The sale should be reported on Schedule D of Form 1040. It is true that precious metal dealers are not required to report many small purchases to the IRS. However, this does not relieve you of the obligation of reporting the sale and paying capital gains taxes on your profit, even when selling just one or two coins. The IRS considers gold – as well as other precious metals and gemstones – to be a “collectible.” Collectibles capital gain includes a gain from the sale or trade of a work of art, antique, rug, precious metal, gem, stamp, or coin held for more than a year. As such, capital gains due to the selling of physical gold are taxed at a maximum rate of 28%. This includes all denominations of gold bullion coins, rare/numismatic gold coins, and gold coins or ingots. It also includes most “paper” or certificate forms of gold. 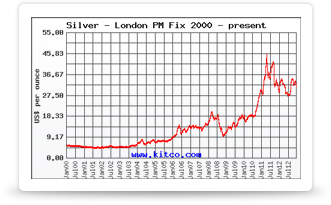 The same rules apply to silver, platinum, and palladium. There may be additional government reporting requirements when you liquidate your investment. Under IRS regulations, Form 1099-B must be submitted when you sell certain bullion products, as such sales are considered income. These requirements are based on the type of precious metal you are selling. Sales that require the filing of this form include $1,000 face value of US 90% silver coins (dimes, quarters, or half dollars), or 25 or more one-ounce Gold Maple Leaf, Gold Krugerrand, or Gold Mexican Onza coins. Gold, Silver, Platinum, and Palladium bars are also included, if the sizes are at least 1 kilogram, 1,000 troy ounces, 25 troy ounces, or 100 troy ounces, respectively. If the item you are selling is not on this list or does not meet the minimum quantity, Form 1099-B does not need to be filed, no matter how large the quantity of coins bought or sold. For this reason, many investors choose coins that do not require the filing of Form 1099-B, such as American Gold Eagle coins. However, some investors mistakenly believe that by buying and selling coins that are not on this list, they can avoid paying taxes. The income from selling such coins is still reportable, and will incur capital gains tax, regardless of whether the form 1099-B is filed. If you are considering investing in a large quantity of gold, check with your tax advisor for more information about the taxation of gold investments. A successful investor is an informed investor. By understanding the tax implications, you can make the right decisions regarding which forms of precious metal to purchase for investment.